Some people really prefer the older style photo viewer from Windows 7/2008R2 and I have had a few requests for this to be re-instated in Windows 10/Server 2016. I have compromised a guide below which outlines to necessary steps in order to be able to allow Photo Viewer to launch and then to create the relevant file associations and make them stick with all users in the environment. 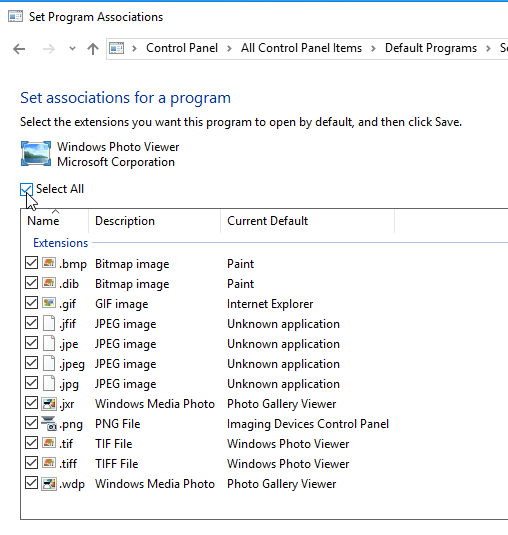 This contains the relevant .reg file to create the file associations for Windows Photo Viewer so that it appears in the list of programs within Windows. Open your base image and run the .reg file to import the settings into the registry. 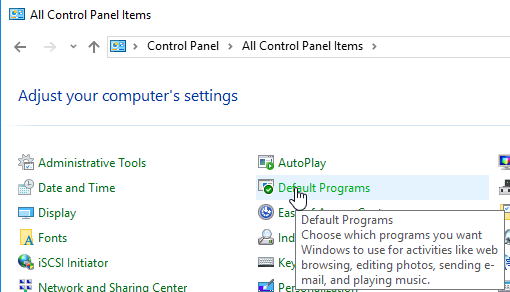 Now open the control panel within your base image, select “Default Programs”, select “Set Your Default Programs”. 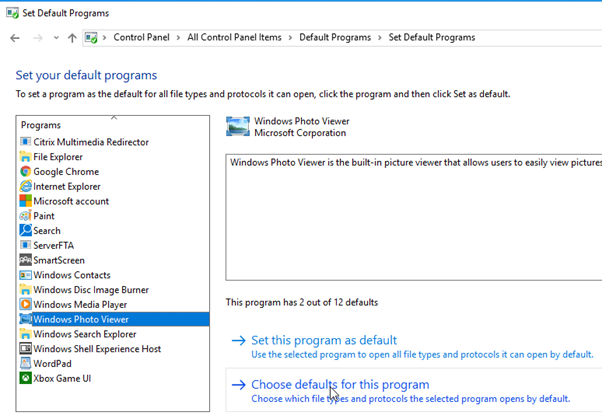 Select “Windows Photo Viewer” on the left and then “Choose Defaults for this Program”. Select the relevant file extensions and select “Save”. Windows Photo Viewer is now the default application for these file extensions. Go ahead and test to make sure your changes all stuck. Now, if this is an environment where end user machines are non-persistent you will need to re-present these file associations for users. 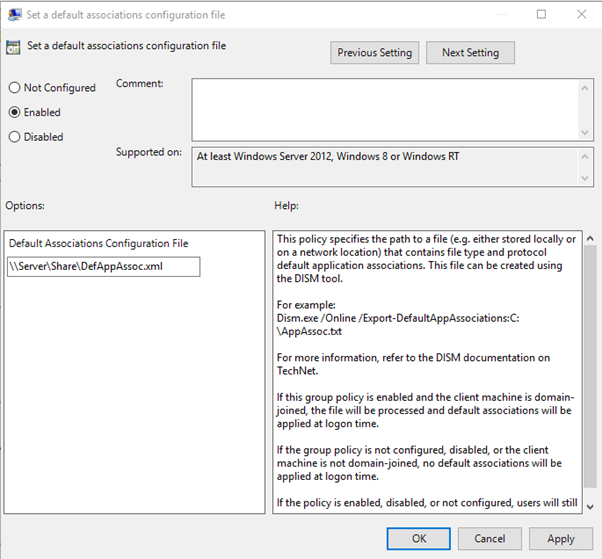 To do this you can import some default file associations using Group Policy. This is achieved by using DISM to export file associations and then getting them imported again for the user using Group Policy. Open PowerShell and run the following command to export a file association document. Save this somewhere that can be referenced by users. Now all users will have a default file association set for Windows Photo Viewer. Hi, am curious what you mean by “Some people really prefer the older style photo viewer”, what is the new style? I’m looking for Photo Viewer on Server 2016 but it seems to be gone completely, with no way (new or old) to view images. I agree. I’ve installed 2016 many times and the default photo viewer is paint. Ridiculous! The ‘Photos’ app is not available in Windows Server 2016, only Windows 10. In fact none of the ‘native Windows 10 apps’ like Edge, Photos, Calculator, etc, are available in Windows Server 2016. Thanks for the post. While this worked I now have an issue: in Outlook every time I double-click a photo attachment, it asks me to select the default program first. As if it does not save my preference. Any clue? I ran into the same situation: photoviewer is recognized as default but outlook always prompt to select the default progam. Sounds interesting, I’d like to see your setup. Outlook used to rely on the defaults in IE, under settings, programs but that should now all be moved to Windows 10/2016 file type associations. We may need to dig through the XML a bit. Feel free to send me the XML @ leee.jeffries@leeejeffries.com. I’ve run into this a few times. If photoviewer is enabled after office is installed, Outlook does this. If Office is uninstalled completely and then reinstalled the issue is fixed. Strange, I’ve not come across this but will bear in mind. Thanks Peter. This doesn’t work for me unfortunately, attempting to do it in Windows Server 2016. I’ve followed the above exactly (apart from the DISM/GPO stuff that doesn’t apply in my case because my image is persistent). I’ve then cleared a test user’s profile and logged in. JPGs still open in Paint. I’m using mandatory profiles though, could this be a reason? Is there anything of the above steps that write into the user profile rather than HKLM (i.e. the ‘Default Programs’ bit)? Thanks. You still need to use the dism part, this should solve your issue. Its not to do with non-persistent vs persistent, you need to tell windows to always use this file and embed your file type associations. Basically when you change user file type associations in Server 2016 they are stored with the user with a special hash value that’s automatically generated. When you are editing your file associations you are not editing the machine settings. Correct on the app side of things too. I only see .tif and .tiff when I “Choose defaults for this program”. There is no entry available for .bmp, png, jpg, etc..
Could you maybe share your XML-export including “every possible” image fileacc? I’m not sure what to add for “ProgId”. When looking for instructions i stumbled across this reg-imports but they will only to the job for jpg/jpe/jpeg, leaving bmp, png, … without fileacc. By setting the fileacc via GPO: Can users still change their own settings and will these setting be user-persistant or reset with every logoff/logon? In my blog post are also some reg files to import. Once these are imported you should get the other file associations too. Feel free to drop me a mail on leee.jeffries@leeejeffries.com and we can take a look. BUT.. Under the File menu “Copy” and “Make a Copy…” are greyed (inactive) out. This is only when accessing files\pictures som a network drive\share. When opening a local file they are enabled.